Two bedroom plus den second floor coach home available immediately. 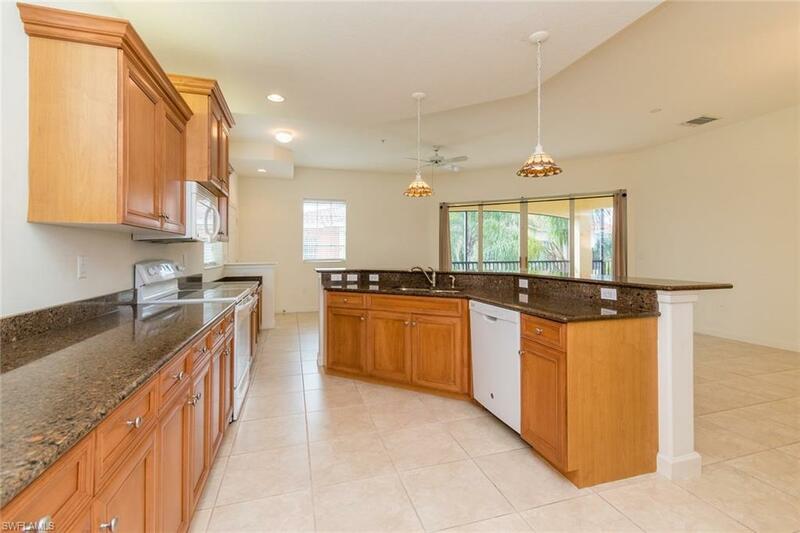 Gourmet kitchen with plenty of storage, granite counters. 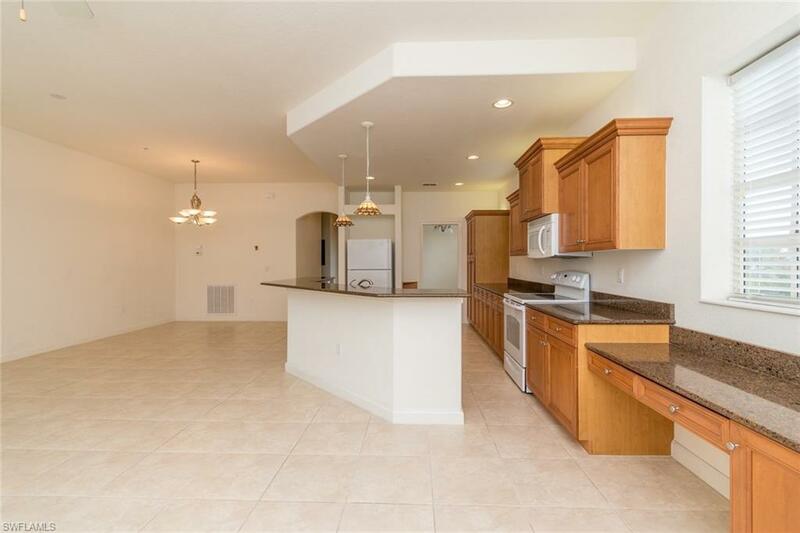 This open floorplan has windows in every room making it a very light and bright unit. Tiled throughout living area. Deep soaking tub in second bathroom and a large walk in shower in the master bath. The picture of the great Room , furnished is from another listing, but wanted to show the floorplan and layout of furniture. 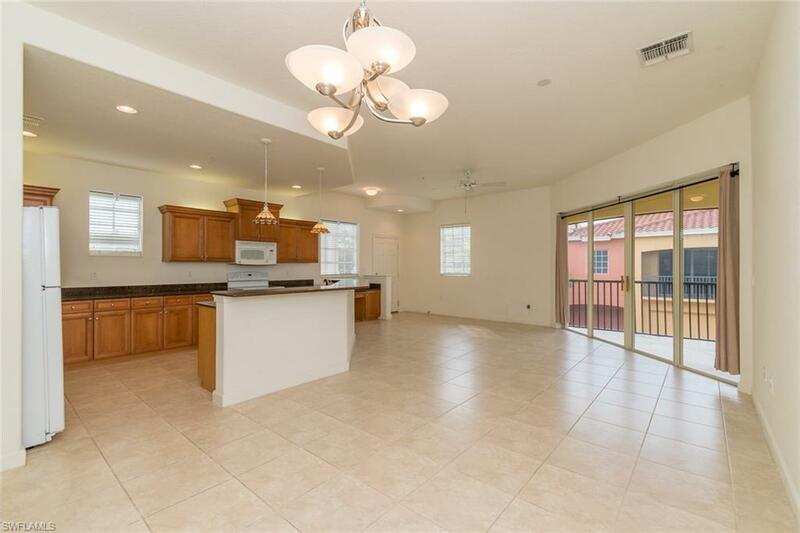 The master bedroom has a Juliette Balcony and the great room has a lanai with lake and palm trees view. Right outside your door is the Enclave pool. 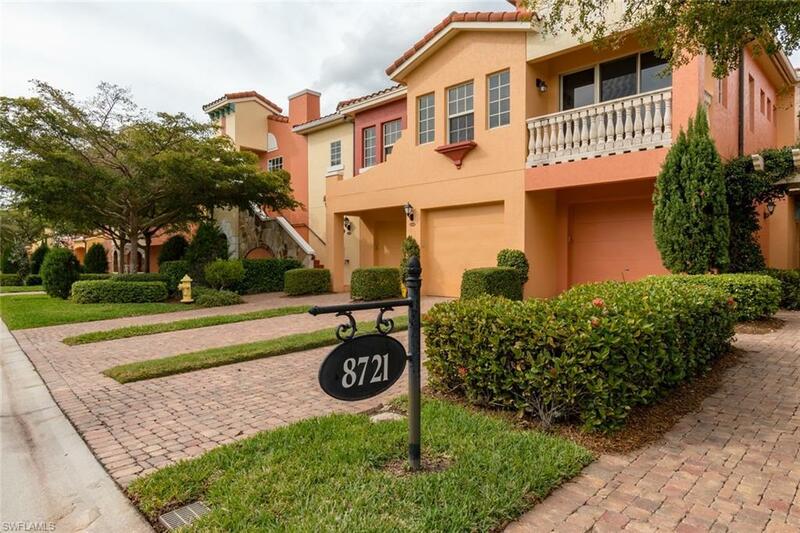 This Mediterranean style resort community has five pools, two are lagoon style with rock grotto waterfalls, spa, screened lap pool, 5 har tru tennis courts with full time tennis pro, fitness center with full time fitness director, full time activity director, bocce ball, fishing piers, walking and jogging paths, clubhouse, library and the best part, walk to the Coconut Point Mall, just 12 miles to International airport, and minutes to the beautiful beaches.